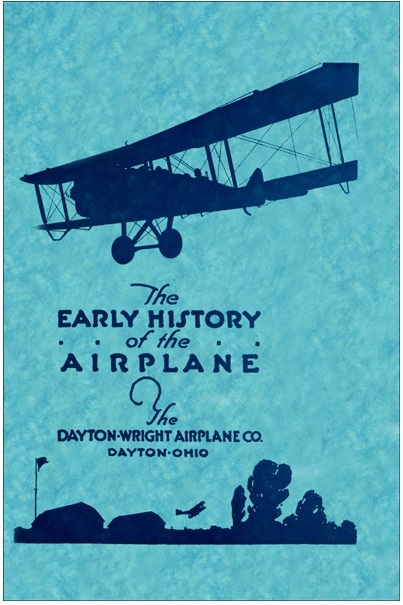 “The Early History of the Airplane”, by Orville and Wilbur Wright. The Wright Brothers’ Aeroplane, by Orville and Wilbur Wright. How We Made the First Flight, by Orville Wright. Some Aeronautical Experiments, by Wilbur Wright. In these articles they provide some insight into how they became attracted to the problem of heavier-than-air self-powered controlled flight, what were the difficulties they faced, what schools of thought there were at the moment (1), who influenced them, what results and experiments from others they relied upon, the experiments they performed, the results at which they arrived… and, yes, they describe their first and subsequent flights. I would recommend the book to anyone interested in the field or the historic event, with the sole warning that the book sometimes goes a bit on the technical side (though nothing that cannot be endured for just 30 pages!). We have to bear in mind that the problem was yet to be solved, they were exploring uncharted territory… what route to take? “To work intelligently, one needs to know the effects of a multitude of variations that could be incorporated in the surfaces of flying machines. The pressures on squares are different from those on rectangles, circles, triangles, or ellipses; arched surfaces differ from planes, and vary among themselves according to the depth of curvature; true arcs differ from parabolas, and the latter differ among themselves; thick surfaces differ from thin, and surfaces thicker in one place than another vary in pressure when the positions of maximum thickness are different; some surfaces are most efficient at one angle, others at other angles. The shape of the edge also makes a difference, so that thousands of combinations are possible in so simple a thing as a wing. (1) The two schools being distinguished by at which side of the problem they dedicated the attention: power flight (Langley, Maxim) versus soaring flight (Lilienthal, Mouillard and Chanute). “Bird Flight the Basis of the Flying Art” and articles by Otto Lilienthal. “Empire of the Air”, Louis Pierre Mouillard. “Progress in Flying Machines”, Octave Chanute. “Experiments in Aerodynamics”, by Samuel Pierpont Langley. Was Orville Wright’s the first flight ever? In the book, the reader gets the idea of the skepticism, of how in France there was also a race for performing the first flight and how it was not until the Wright brothers flew in Europe years later (1908) that people got convinced of that first flight in 1903. When I read about that, the idea that came to my mind was French chauvinism. […] European experimenters put the Wrights to shame by adopting wheeled undercarriages from the outset. The Wrights stuck with skids far too long, perhaps because they viewed their airplanes as scientific proof-of-concept vehicles first and practical machines second. Last summer, when we visited the Aviodrome (3) museum in The Netherlands, we found another Flyer model of the Wrights. This one was a bit more complete: it showed the skids and how the airplane was propelled into the air thanks to a system composed of rails and a kind of catapult. (1) “The Airplane” is a terrific book of which one day I hope to write a review. By the way I purchased the book at Boeing HQ in Chicago almost 2 years ago. (2) Jay Spencer is also coauthor of “747” another great aviation book of which I wrote a review here. (3) Aviodrome is a great museum north of Amsterdam, at the height of the Smithsonian institution National Air & Space Museum… if only it had free entrance as well. I will have to write about this museum too. (4) That same federation did not accept as a first flight one made by the French Clément Ader in 1890, because it was an un-controlled flight.